Local lad Rocky Fielding was the surprise package as he won the super-middleweight Prizefighter in Liverpool tonight (Wednesday 23 March). Fielding upset the odds as he blasted his way to the £32,000 prize fund by beating Tobias Webb in the final. Fielding had to get past knock-out artist Patrick J Maxwell and Joe Ainscough before stopping Webb in the final and becomes the first man to win all his fights through stoppage. Webb, who had the harder route, beat former world champion Robin Reid and Jahmaine Smyle. You could tell Webbs last fight (against Smyle) took it out of him and Fielding was very smart by attacking the body of his weary opponent. Webb just couldn’t handle it and dropped to his knees after Rocky landed a fantastic hook to the body with just 20 seconds left on the round one clock. Webb was then saved by the bell after another knockdown, but his corner decided enough was enough. This was the definitely the right call as Webb had nothing left to give and was really drained because of his two previous fights. The first fight of the night saw knock-out artist Maxwell face off against Fielding. The first round began really scrappy, but Rocky took the centre of the ring and began trading with the big puncher. In the second round, Fielding again took the centre of the ring and landed some great shots, dropping Maxwell twice before the referee called a halt to the fight. The second fight of the night was probably the most controversial as Ainscough beat Wayne Reed via split decision, despite Ainscough being dropped in the third. If I’m honest this was the worse fight of the night, with neither fighter displaying any real skill. Ainscough came out swinging wildly, displaying no defence while the cocky Reed wasn’t good enough (despite some of his earlier predictions) to exploit the obvious lack of defence from Ainscough. Even so, I thought Reed won the second and third rounds and was surprised as anyone to see Ainscough progress. The third fight saw former world champ Reid take on Webb. Reid was disappointing in this fight, looking very sloppy and always looking to tie up when on the inside. I take nothing away from Webb who thoroughly deserved it, but Reid looked a shadow of his former self and should definitely stick to retirement. In another shock, pre-tournament favourite Carl Dilks lost via a split decision to Smyle in the final quarter-final. Dilks looked as though he hadn’t recovered from the pounding DeGale gave him and despite winning the first round, was pressed back throughout the fight by the stronger Smyle. Smyle had Dilks rocking in the second but couldn’t finish the job but continued to press forward to take the split decision win. The first semi-final saw Rocky blast past Ainscough in the first round. Despite knocking Ainscough down, the referee declared it wasn’t to be as he felt Rocky pushed Ainscough down but I’m still not sure. But Rocky wasn’t to be denied and continued to land some brutal shots, resulting in two cuts (one above the right eye and one between both eyes) which forced the referee to stop the fight in round one. Webb came through another exhausting fight with Smyle but did enough to claim a unanimous points victory. Webb moved well throughout the fight and picked his shots well as Smyle continued to come forward time and time again, despite a cut on his mouth. 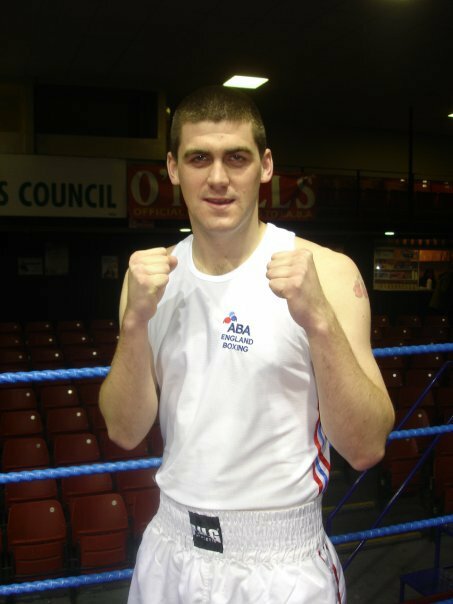 However the night belonged to local lad Rocky Fielding, who entered this tournament at short notice. He blasted his way through the tournament and was a deserved winner. It’s back again, the exciting knock out tournament returns tonight (Wednesday 23 March) and it’s the return of the Super-Middleweights. Everyone should be familiar with the format by now but for those of you that don’t, the format consists of 8 fighters who will compete in four quarter-finals. There will be 3 rounds, each lasting 3 minutes. And of course the winners of the quarter-finals will then face off in the semi-finals, with the 2 winners of those facing each other in the final for £32,000. So enough of that, lets introduce the 8 fighters. The nephew of former WBO and WBU cruiserweight champion Enzo Maccarinelli. His record stands at (4-0-1) and Enzo has backed his nephew to win Prizefighter and go onto bigger and better things. Webb holds an impressive win over former Prizefighter champ, Patrick Mendy. The man from Swansea sure has his hands full in his first fight, which pits him against former world champion Robin Reid. And if he manages to get by him, he will have to face Carl Dilks in the semi’s, so it’s not going to be easy for the youngster. Easily the biggest name in the tournament, which could prove to be a burden. Reid is a former Olympic bronze medalist, but hasn’t fought in over 4 years since he lost to current world champion, Carl Froch. Reid is in great shape but after being out of the ring for so long, his sharpness and reflexes might not be there and this is surely just one final shot at glory for the former world champ. Then we have tournament favourite, and my personal pick. You might remember Dilks from last December when he lost via a first round TKO to James DeGale. Now none of the fighters in this tournament are anywhere near the calibre of DeGale and Dilks, who has previous experience of the Prizefighter format, could well see himself in the final so long as he is focussed and doesn’t freeze. His record stands at (3-1-1) and is considered one of the bigger punchers in this tournament, which is always handy. His only loss has come against fellow Prizefighter competitor Wayne Reed and will surely be looking for revenge. Sadly I don’t think Smyle will get the chance to avenge his defeat because I don’t think he has the required skills to get past Dilks. But he definitely has the punchers chance, so watch this space. Now this guy has some story. Following a promising start to his career 2 years ago, Ainscough was stabbed twice from behind after he tried to intervene in a disturbance outside a pub in Liverpool. Doctors told the boxer he would never step foot in the ring again, but 2 years on, and following Adrian Dodson dropping out of the competition, Ainscough has the shot at a fairytale ending. He already boasts a victory over Jahmaine Smyle. His current record stands at (5-1) and isn’t really expected to make an impact in this tournament but if he can get the better of Ainscough, his side of the draw is quite favourable and with a bit of luck, he could find himself in the final. He has only had 3 fights (all ending in a win) and boasts a superior height advantage over Maxwell, which he will have to use to his advantage if he is to progress. Click Part 1 and Part 2 to see the preview of Prizefighter: Super-Middleweight “The Last Man Standing”. Don’t forget to tune into Sky Sports 1 at 8pm for the tournament and be sure to check back on the site for a round-up of the nights action. 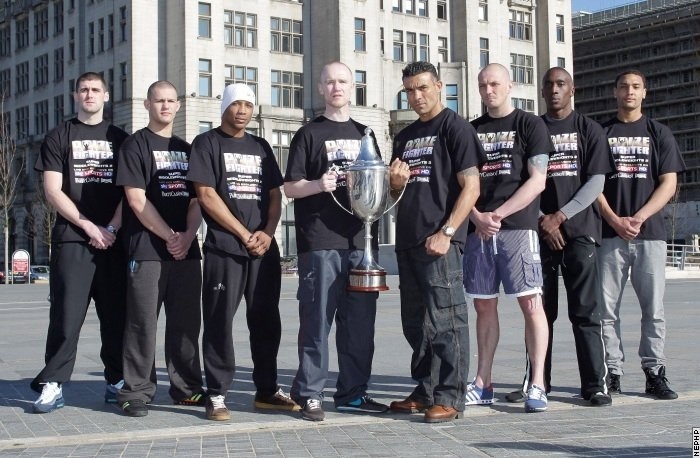 Comment below on who you believe will win this Prizefighter tournament.